3B started its operations in 1995. 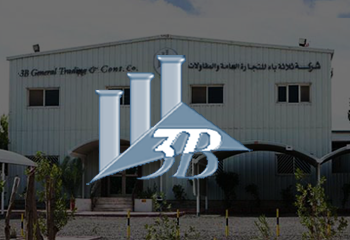 Having completed two decades of its operations in the oil & gas sector, 3B has developed state of the art technology. 3B is mobilizing highly capable manpower in shortest time frame. Quality, Safety and Environment are treated with paramount importance. The continuous strive to exceed the expectation of its customers has placed 3B among most trusted companies of the region providing similar kind of services. 3B offers its unique services and provides suitable solutions from initial stages of project design, engineering through construction and pre-commissioning to operation. 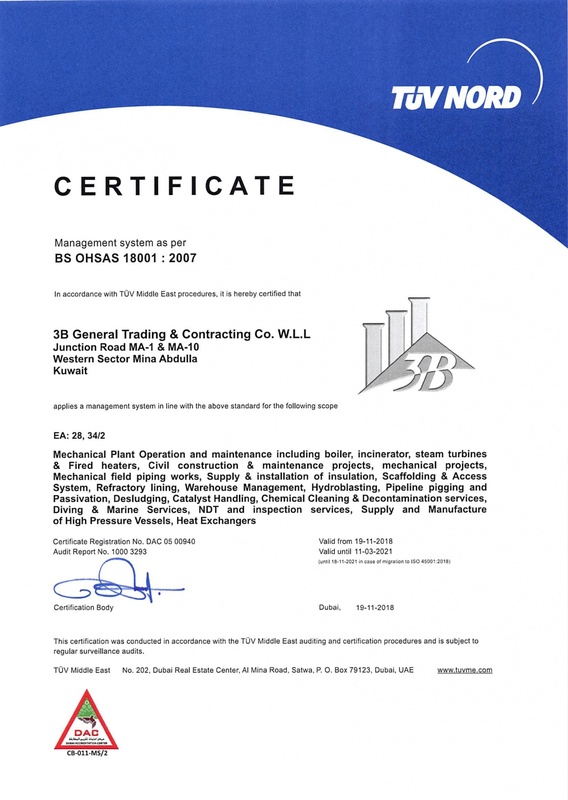 3B has a very strong commitment towards Quality, Safety and Environment. 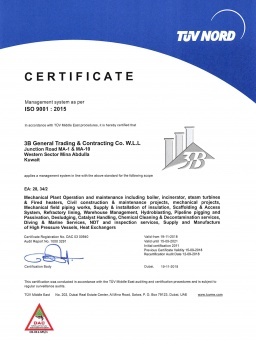 QHSE and compliance are integral to the Core Values of 3B and remain at the heart of our operations. 3B General Trading & Contracting Co.W.L.L. as a contracting company is involved in diversified fields. Therefore, it exposes to varieties of risks at work place. To be recognized by our employees and business partners as a leader in QHSE motivation and performance.To continually improve our operations and HSE performance. 3B is an ISO 9001:2008, ISO 14001:2004 & OHSAS 18001:2007 Applus Velosi Management Systems certified Organization which makes our system credible and global.
" We have a range of world wide happy clients "
To become the market leader by developing a broad service portfolio capable of meeting the local and international market needs by adding new services, new technologies, strategic partners and quality resources. To enhance our operating efficiencies by utilizing proven methods, practicing the lessons learned, having highly skilled and qualified people and using innovative technical solutions.